You can help us save lives — perhaps even yours! Each year, 1.7 million people worldwide die or are disabled by afib-related strokes. Through education and raising awareness, we’re committed to stopping afib strokes and to helping those living with afib to get their lives back. StopAfib.org is a non-profit 501c3 charity that was created by patients for patients. Through providing education and support on our StopAfib website, our annual Afib Patient Conference, webinars, afib news, medical conference coverage, and support via our patient discussion forum, we help those living with afib to understand their treatment options and to prevent strokes. 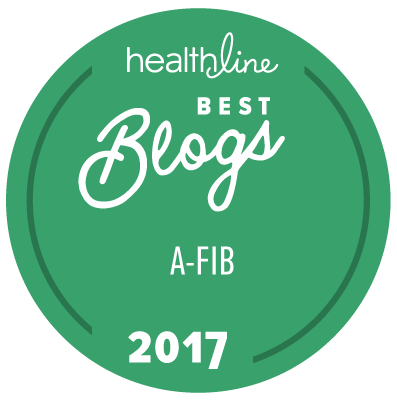 We raise awareness of afib around the globe so people get diagnosed and treated, and avoid having an afib-related stroke. We are involved in coalitions around the globe to educate policymakers and the media on what can be done at the national and local levels to prioritize afib screening and treatment. And this is only the tip of the iceberg of the impact we’re making! We need your help now, more than ever! During the Giving Season, please make a tax-deductible donation if you, or a loved one, have benefited from our work or if you support our mission of wiping out afib-related strokes worldwide. Even the smallest donation of $5 or $10 helps us make a difference. When you click, you can set your donation to any amount you choose. Please give now! You can help us save lives — perhaps even yours!